I bought some beautiful fat beetroots at our local growers markets (Orange Grove in Lilyfield) on Saturday & instantly had grand plans on how to use them. I roasted one last night in a bit of olive oil & ate them simply on a bed of freshly picked watercress & rocket from my Mum’s community garden. Next up on the list was a beetroot smoothie. I haven’t made one in ages but was confident that my sons would like it due to the colour. This smoothie is so simple & a really delicious start to the day. Throw all ingredients into your blender (I use the Omniblend) & blend until you get the desired consistency. 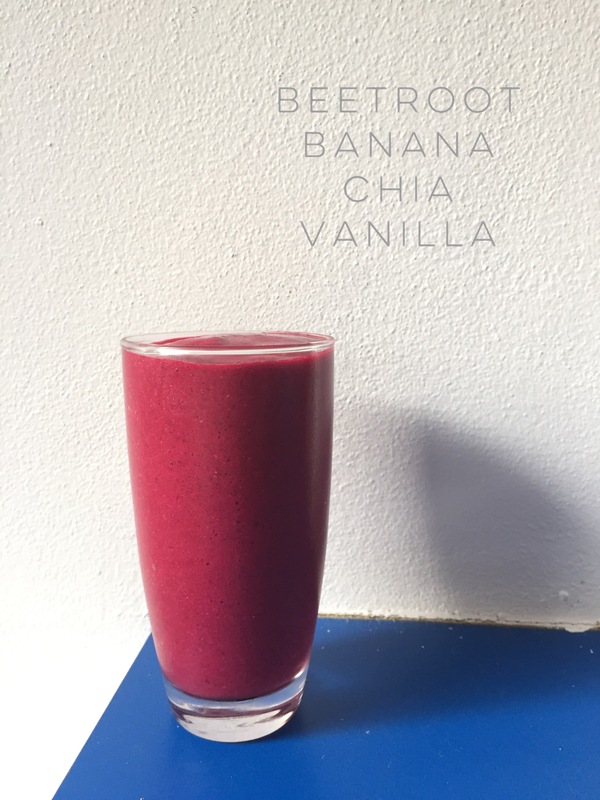 This entry was posted in Recipe and tagged banana, beetroot, beetroot smoothie, canesugarfree, chia, dairy free, dairyfree, dairyfreesmoothie, F52, F52foodshare, familytreats, gluten free, glutenfree, glutenfreesmoothie, kidssmoothies, nutfree, pink, pink smoothie, Raw, rawvegan, rawvegansmoothie, refinedsugarfree, smoothie, vegan by 6 Clean Ingredients. Bookmark the permalink.